Using synthesizers, electronics, outboard processing gear and an array of exotic instruments, Belgian electronic musician Vidna Obmana creates an extended musical journey through rhythms, soundworlds and sonic atmospheres. Crossing The Trail is dynamic, leading the listener to deep and peaceful sanctuaries of sound contrasted by intricate and energized pulse grooves. 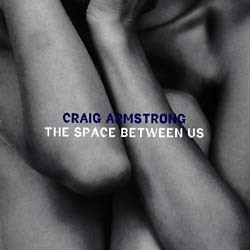 On the CDs these two have collaborated on we can hear another side to the beautific New Age piano music of Tim Story which we all love. On "A Desperate Serenity" and the more recent "Drop" the two present a range of styles. From the bright and melodic to the dark and textural, Story and Ashley show us their depth and ask us to follow. Yet another collaboration which brings out what is hidden in an established artist. Roach has always conveyed to us, through his recordings, his love of the desert. On "Dust To Dust" he captures not only the landscape but the hard lives of the pioneers who first settled the American southwest as well. Dust To Dust is an adventurous release. Roach's signature didgeridoo drones are not present, replaced with his harmonica and the twang of Roger King's guitar. Called Ambient Country and Western by some, this album demonstrates the rewards of non-complacency. Red Shift deserves mention here because of their live CD Ether. Although this recording is a homage to the work of '70s Tangerine Dream, it fully conveys the excitement, emotion and mystery that the genre is capable of. Headed by Mark Shreeve, one of England's most well know Emusic figures, Red Shift is the project which (at the expense of his commercial work) keeps him close to the music. The passion for spacemusic comes through on this wonderful recording. Originally realized by Brian Eno in 1978 as an experiment in chance and ambience, Music For Airports has became an icon for Ambient Music. Twenty years later the Bang On A Can ensemble has eliminated all chance and kept the ambience of Eno's seminal work. They've carefully noted every sound, nuance and noise produced on the original recording and made their own accoustic version. The result is relaxing, pleasant and beautiful. Half of Viridian Sun (w/Mike Griffin), David Tollefson produces music which is dark, atmospheric and textural. He uses the heavily processed timbre of his guitar to convey musical messages, rather than melody or rhythm. Much effort has been spent on creating and organizing original sounds. 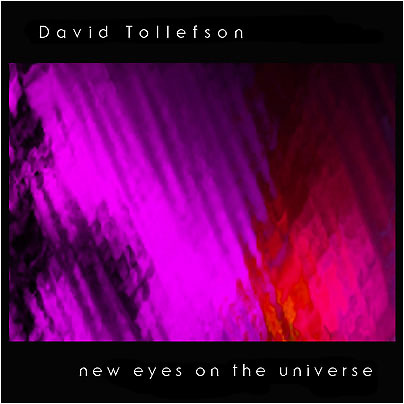 Each track on New Eyes On The Universe is an intricate soundworld evoking the mysteries at the edge of the universe. This CD unites two of The UK's most prominent and established synthesists: Ian Boddy and Mark Shreeve. The pairing brings out the best each has to offer resulting in a CD that is equal to more than the sum of its parts. Rexamining the sequencer spacemusic of the '70s through the creative lens of two masterful electronic musicians, Arc manages to come up with music that is not cliched or derivitive but rather evocative and compelling. With the release of his 1998 CD Seven Veils Robert has returned to an area of music that he has not visited in a while: rhythm, melody and harmony (concerts notwithstanding). Robert is one our community's most proficient musicians, Seven Veils sets a standard that others in the field will no doubt try to achieve. 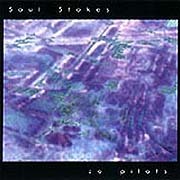 With two albums to his credit and represented on several compilations, Saul Stokes is already recognised as one of the leading voices in modern Electronic Music. 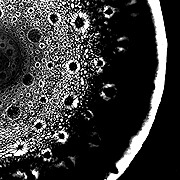 Described as "fresh and inventive", Stokes brings together elements of Space, Ambient, Industrial and Intelligent-Techno, forging a sound all his own. Performing on custom designed, hand built synthesizers, Stokes creates a sonic landscape somewhere between the floating textures of Vintage Spacemusic and the focused rhythms of Modern Ambient. Jeff Pearce, known for his unique approach to guitar playing, continues to evolve his sound on Daylight Slowly. The tones Pearce produce do not give up their origin as they are processed, delayed, distorted and looped to create complex harmonies and timbres not usually associated with an ordinary electric guitar. But Pearce's triumph here does not lie merely in the technical but in the emotional aspect of his music. The tracks that make up Daylight Slowly are compelling and moody, displaying Pearce's talent for traversing the Space, Ambient, Experimental and New Age genres. 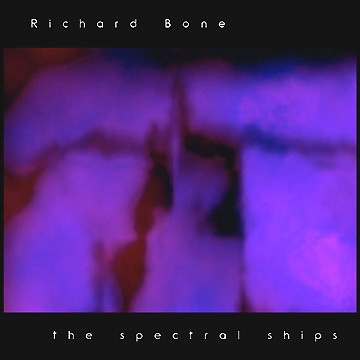 Ascension of Shadows is 1998's studio collaboration between Steve Roach and Vidna Obmana and is representative of the duo's meditative style of music. 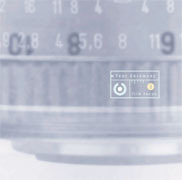 Each of the three CDs in the set contains a lengthy and unique ambient environment, immersing the listener in a carefully designed soundworld. The experience is equally rewarding whether just below the threshold of perception or through active listening. 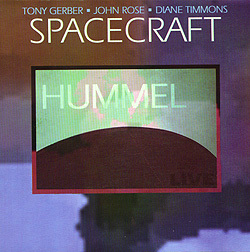 Hummel is the name of the planetarium at Eastern Kentucky University and is where this live concert by Spacecraft was recorded. Playing in a linear and therefore transportive style with synthesizers, guitar and voice, Spacecraft swept the audience across the vastness of space, to the stars and galaxies projected on the planetarium dome above. Along with images of distant suns and planets, a full blown laser show augmented the concert. The combined effect surely had a positive influence on the concert performance. Although rhythmic and melodic, the music on Hummel is subtle and cerebral, never betraying its Spacemusic roots.